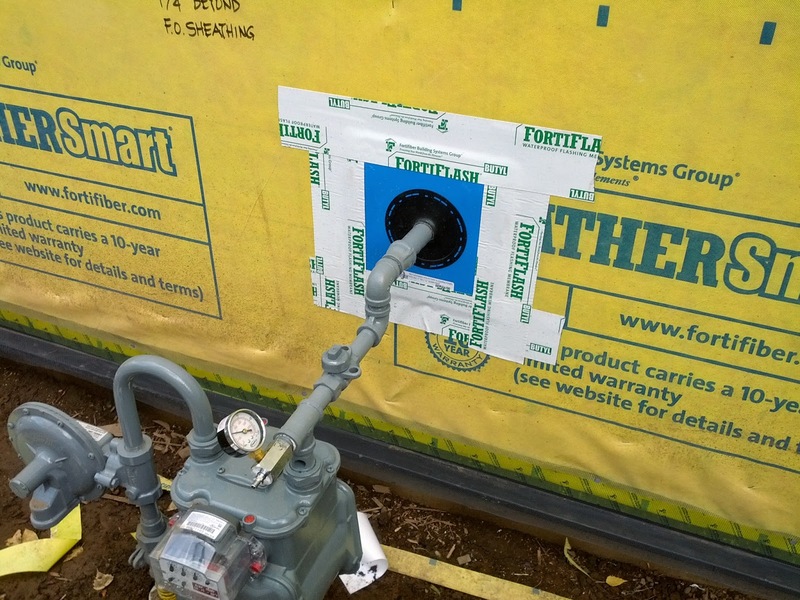 Drip flashing installation. 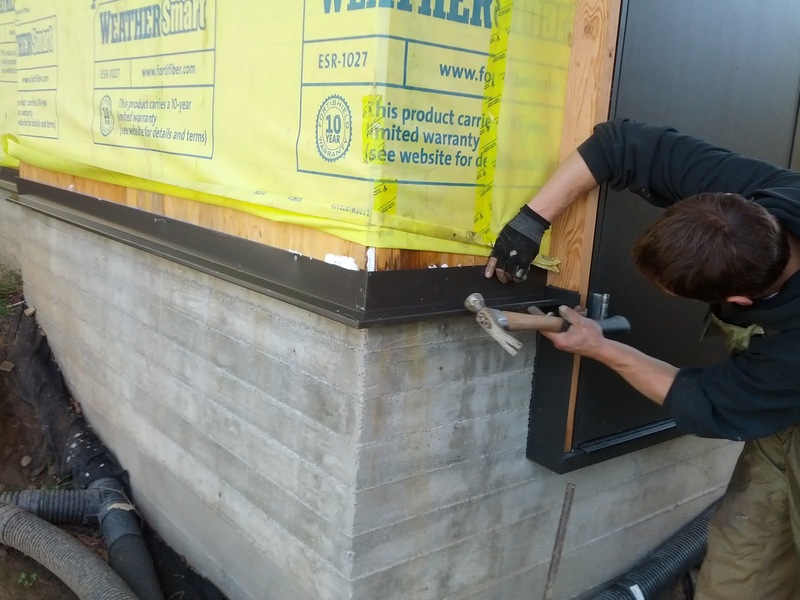 The seam between the sheathing and concrete was previously caulked with sealant. A new sealant bead beds the flashing to the base of the wall. Sill plate gaskets back up this system. 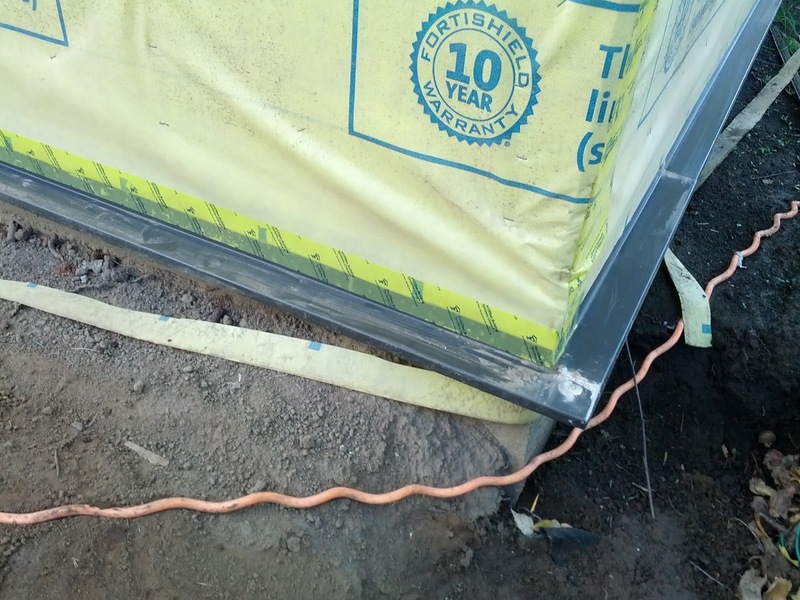 The housewrap (air & water barrier) is lapped over, and taped down to the flashing to complete the air seal. 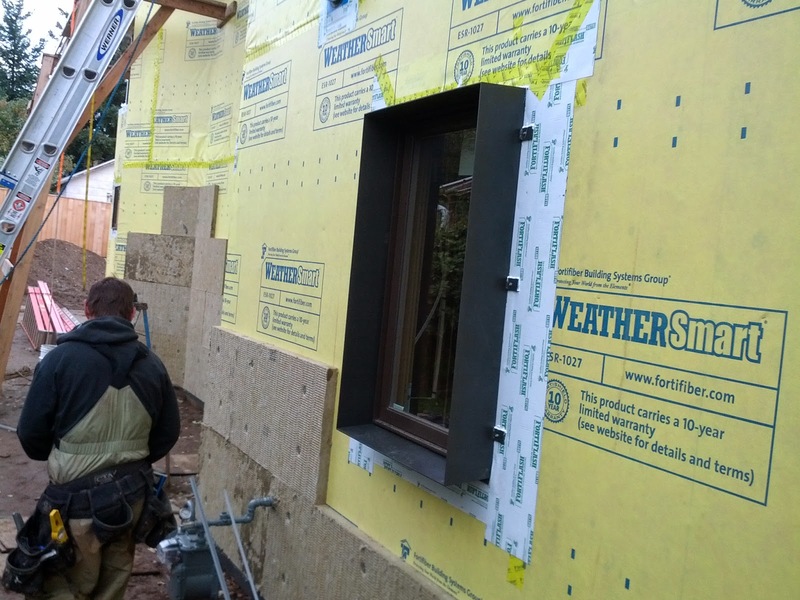 Bug screen is attached to the wall and draped over the flashing for use later. 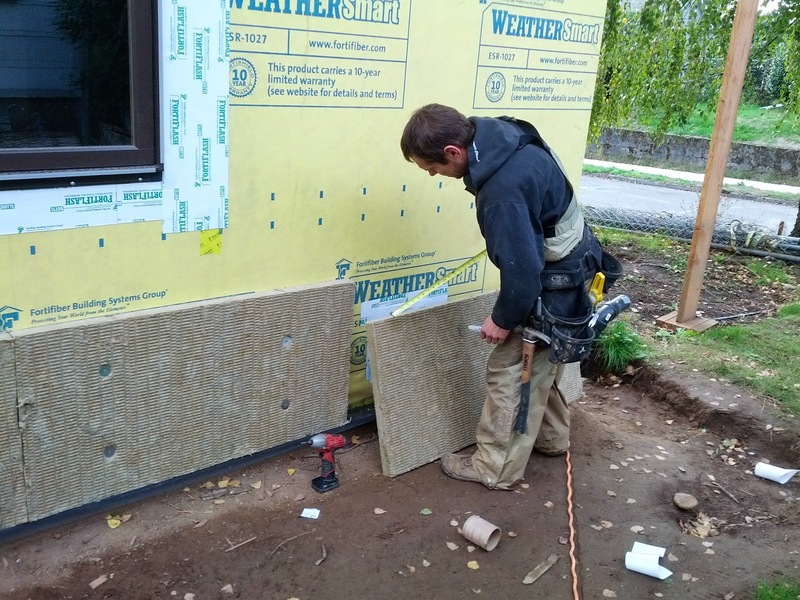 The rockwool insulation is then attached to the wall just enough to hold it in place until the (future) rainscreen battens secure it firmly to the building. Here is how we waterproof & air-seal penetrations in the wall.